BMW is a a top German luxury auto brand known as “the ultimate driving machine”. With a variety of car, SUV and motorcycle models, BMW evokes feelings of excitement, safety, comfort, durability and a world class driving experience. 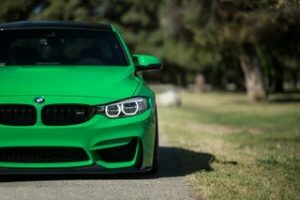 Indeed, when it comes to tips for shipping a BMW, find a company that operates like a “perfect car shipping machine.” Read on for valuable BMW car shipping tips and why BMW owners and dealers love working with us. Of course, if you’re ready to move your BMW, get a free car shipping quote via the form to the right. Or, give us a call at 1 (888) 886-3456 today. Just as BMW is held in high esteem for it’s performance and reliability, your shipping company should be viewed the same way. In addition to doing your research online, avoid shopping on car shipping price alone. Instead, trust only the best BMW auto transporter with a flawless five star reputation among customers. Make sure they are well established, fully insured and share your focus on safety, reliability and outstanding customer service. At Fisher Shipping, we have a reputation as one of the few car shipping companies that fall in this elite category. We at BMW of South Albany have been using Fisher Shipping Company for over 10 years. They’re our go to people for any of our shipping needs all over the country. They’ve shipped anywhere from Florida to Seattle to California and more, always on time and always at a competitive price. Just recently they shipped a car to San Diego and also picked up the customers trade in vehicle and brought it back. We know we can count on them and that’s why they’re always our first and last call. Had Fisher deliver my BMW from San Angelo, TX to Natick, MA and couldn’t be happier with the transaction. Throughout the process, company was in touch with me, from initial call and quote to driver giving me consistent updates throughout the progress. Vehicle was delivered just TWO days after it was picked up, nearly a week ahead of schedule, and arrived in absolutely perfect condition, just as it was picked up. There are other companies out there that I looked at, and while some were cheaper, I can see that you get what you pay for with Fisher and it was totally worth the piece of mind. Their knowledge of whom to use, and more importantly, whom not to use, is priceless. Read some horror stories with some other companies, you’ll know what I’m talking about.. I would highly recommend them to anyone, and next time I’m in need of a vehicle transport, I’ll know who to call. Fisher Shipping was not only a great value, but the folks there were excellent to work with. They picked up my 2016 BMW M4 and treated it like it was their own. I would highly recommend Fisher Shipping when you have the need to have a vehicle transported. With over 30 years of reliable auto transport experience, we make shipping a BMW anywhere in America a great experience. Enclosed vehicle transport available: Since the MSRP for a new BMW is over $50k, you may want to choose covered or enclosed auto transport. “Both shipping, delivery, & customer service is awesome! I have used this company twice and had very good experience with them!” Rathna N.
“Great job! Thank you Matt for peace of mind shipping a car across the country. Highly recommend!! !” Melissa T.
“This is the 3rd time I have used Fisher Shipping Company. They service and communication was excellent. The price was reasonable. The car arrived in great shape ahead of schedule. Thanks!” Debra S.